As you may or may not know, we have been pretty big fans of A.A. Bondy for a long time (internet time of course) We have covered a couple shows, make some videos etc... And we are really happy he is getting the attention he deserves. 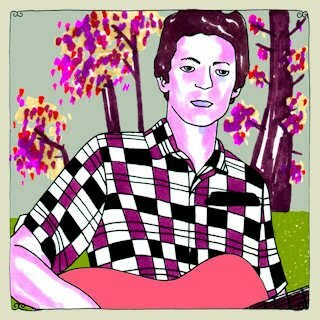 He recently did a Daytrotter Session that you can check out HERE. I have been kind enough to post "I Can See The Pines Are Dancing" below for you lazy people, but you should definetly read the article and listen to the other three track on Daytrotter. A.A. Bondy - "I Can See The Pines Are Dancing"